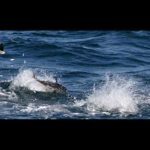 Offshore fly fishing is the ultimate challenge in big game fishing! Doing it correctly takes a great deal of patience, skill, and really having your stuff together all at the right time! 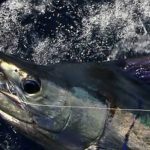 Fighting big fish on fly is one of the most rewarding experiences one can have while fishing on the open seas, and almost every pelagic fish can be targeted with a fly rod. Sailfish, Dolphin, Wahoo, Tuna, King Mackerel, and even reef fish have been caught on the fly. We can even target Permit on the wrecks when they are there for the spawn. There are several other species that are caught in different parts of the world as well, but these are the one’s that we have the ability to target here with reasonable opportunity. Having the ability to stalk these great gamefish, and then the ability to get them to eat some chicken feathers is a feat in itself. All is done by sightfishing, which is truly a hunt in open water. 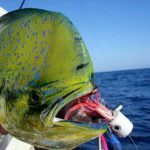 We use several methods to get these fish close to the boat, which include trolling hookless baits (dead or alive), live chumming, and even chunking in certain situations. 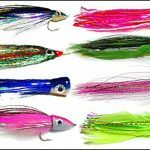 Our favorite is the live bait teaser, as the motion is much slower, and we can generally get the fish so fired up on the hookless live baits, that you could almost free gaff it! 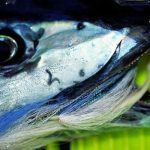 We use a “bait and switch” method, that allows us to get the fish fired up on the live bait, but then taking it away from him just as you present the fly in the location the live bait was just in. The fish is so fired up he doesn’t know what just happend, but he thinks he just ate the live bait. When in fact, he is choking on your chicken feather! This method also lets us get the fish as close as we need it, to give you the perfect opportunity for presenting the fly! It is a truly awesome experience, and one that most fly anglers only dream of. Let Capt. James and the crew of the Catchalottafish make your dreams a reality and get you the one you have always dreamed of on the fly!